Home isn’t where your heart is, where you make your bed or even where you lay your hat. It is where you draw the line that separates what’s yours from what’s not. This line surrounds your inner sanctum and - if it’s reinforced by a fence - keeps out the big bad wolf, who stalks the great outdoors. To appreciate the primal nature of humanity’s fence-building instinct, consider this trio of cognate  words: a Zaun is a German fence, a tuin is a Dutch garden, and a town is an English settlement of a certain size . The German word, which describes the enclosing entity itself, has remained closest to the original meaning. Dutch and English both focus on the enclosed area, yet each on an area of different nature and magnitude . As with many other human instincts , drawing lines and building fences as a means of distinguishing between us and them has been consecrated in religion. Over the past decade or so of intense Islam-scrutiny, much has been made of the division of the world in Dar-ul-Islam (the House of Submission) and Dar-ul-Harb (the House of Strife) . However, Christianity too had the habit of distinguishing between Christendom and everywhere else; at some point, Europe became the favoured synonym, and its fluctuating borders concurred with the outer limits of the Grand Turk’s domains - from the gates of Vienna to the gates of Constantinople, as history’s tide would have it. But the human desire to fence in home and fence out everything else is sacralised nowhere as formidably precise as in Judaism. The location of the Elstree and Borehamwood eruv, established in 2010, within Greater London. Observant Jews are obliged to follow the 613 commandments  of theHalakha. For Orthodox Jews, this includes minute adherence to the strictures of the Sabbath , which entail 39 activities forbidden on that day, among them: cooking, weaving, slaughtering, writing, lighting a fire, and transferring objects. • Transferring objects on the Sabbath is strictly regulated between different types of domains, of which there are four: private, public, mixed and exempt. • Transferring an object from a private to a public domain is forbidden by the Torah; also from a mixed to either a private or a public domain by Rabbinical authority; and permitted from an exempt domain to any other. • Transference is often referred to as ‘carrying’, which is misleading, as one could carry an object out of one domain and back in again without setting it down. • What is ‘public’ and ‘private’ is subject to complex definitions that do not necessarily conform with legal ownership. A close-up of the Elstree and Borehamwood eruv. Notice the non-eruv pene-enclave in the south-west: the borders run along the train tracks northwards until they are connected by Allam Road bridge, just north of the station (images:eboreruv.org). On the sabbath, it is thus not permitted to carry one’s keys, food, medication, or even one's children (or push wheelchairs and strollers), to and from the home. In case you’re wondering whether Orthodox Jews have to disrobe to go outside on the sabbath: wearing clothes is permissible, as they are considered ‘part of the person’ (and as long as they’re not showy). But extra clothing, such as a precautionary raincoat, or even a prayer shawl, is not permitted. An eruv is a legalistic solution to this problem: by establishing a symbolic enclosure in a certain area, observant Jews effectively extend their ‘home’ to the outer limits of that enclosure. On the sabbath, they can now ‘carry’ objects within the entire eruv . An eruv can coincide with existing city walls, but in modern times is usually established by connecting rope and/or string to walls, railway lines and other pre-existing structures. Utility poles are often used to construct a symbolic passageway in and out of the eruv: the poles on either side of a road function as the doorposts, a wire connecting the top of the poles is the lintel. The enclosure should have a minimum height of 10 tefachim , and should not include public thoroughfares or areas too far outside city boundaries. Needless to say, there is plenty of lively debate about the exact definition of an eruv, and consequently about the validity of certain eruvs. The scope of these shabbos  strings is limited in any case by a very practical consideration: each week, the entire length of the wire and other elements that constitute the eruv’s boundary needs to be rechecked, repaired in case of a breach, and reapproved in time for the start of the sabbath on Friday evening. When Mordecai Benet was Chief Rabbi of Moravia (1789-1829), the Jews of Nikolsburg (now Mikulow, Czech Republic) wanted to establish an eruv chain. The only missing link in the chain was a house on the Quergasse, on the edge of the Jewish part of town. It was owned by Topolanski the Butcher, who refused permission. Not that he minded himself, but he was concerned his neighbours (i.e. customers) would object to the presence of a non-Christian symbol running along the top of his house. When asked to mediate, Rabbi Benet, promised to bless the Butcher's house as a protection against fire. The Butcher consented, and (as the legend goes), the house was spared in the many fires that swept through the town in the following decades, and it survived into the first half of the 20th century. However, in spite of their merely symbolic, ritualistic significance, the proposed establishment of eruvin has occasionally led to objections and protests: by non-Jews, on the grounds that they constituted some sort of territorial claim to the enclosed area; but also by other Jews, who might consider the conditions for establishing a particular eruv as insufficiently fulfilled. Or who might question the whole idea of eruvin itself: How does finding a loophole in the letter of the Law not constitute a breach of its spirit? Be that as it may, there are at present about 200 eruvin outside Israel (and many more in the Jewish state itself), each the result of careful exegesis and dialogue with local governments, and each possessing a fascinating cartographic persona. With their clear, linear demarcations, they are reminiscent of electoral districts - except that within these borders congregate not the constituents of a Congresswoman or Member of Parliament, but the faithful flock of the Supremely Unelected One. The Glenwood eruv in Northwood, northern Chicagoland, has a decidedly classical profile (image: glenbrookcommunityeruv.org). Both rooted in the desire to conform to God’s law and subject to nuts-and-bolts inspection and maintenance like any other public utility, eruvin are a curious hybrid of the divine and the mundane. To believers, they are of paramount ritual importance; to non-believers, it’s almost as if they weren’t there. This simultaneous existence and non-existence of eruvin is reminiscent of the quantum state of Schrödinger’s cat, both alive and dead in that box. That quantum state might be the eruv’s most important achievement: the fence that separates us from them is redefined as purely abstract and symbolic, relevant only to those who choose to acknowledge it. An interesting alternative to the territorial exclusivity claimed by many of the world’s religions - and indeed nation states. In an essay at http://www.cross-currents.com/archives/2013/07/18/from-openness-to-heresy/, Rabbi Avrohom Gordimer critiques an essay by Rabbi Zev Farber which crosses the line of Orthodox belief. Rabbi Farber evidently revised his essay, at http://thetorah.com/devarim-recounting-different/ to defuse some of the more explosive positions he had taken. 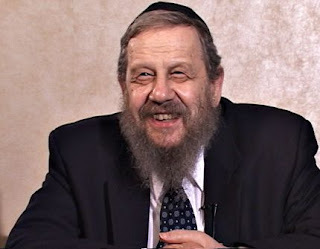 Evidently in defense of Rabbi Farber, Rabbi Nati Helfgott published an essay at http://morethodoxy.org/2013/07/21/torah-min-hashamayim-some-brief-reflections-on-classical-and-contemporary-models-guest-post-rabbi-nati-helfgot/. This essay was subsequently taken to task - along with critiques of additional highly disturbing passages penned by Rabbi Farber - by Rabbi Gordimer at http://www.cross-currents.com/archives/2013/07/21/torah-min-hashamayim-a-reply-to-rabbi-nati-helfgot/. I would like to re-post here the conversations that I have online on these issues, beginning way back in '94, on Mail-Jewish, recapitulated in the review below, which appeared as a comment at http://rygb.blogspot.com/2005/12/post-from-my-friend-reb-aaron-berger.html. We discussed this issue years ago, both in MJ and on Avodah, long before the current contretemps, and again in '04 on Avodah. that correspondence, I am here posting some of the major posts. "Dirshu me'al sefer Hashem v'kir'u." service of a cause that I feel integral and central to Yahadus. will be spared the knowledge of who said what when. there is a significant need. thinkers have taught us that we need not think in this fashion. Maimonides and his followers thought. Why else reject e. g.
anthropology, geology, palentology, zoology, linguistics etc. not even to try and touch these areas. fundamentialist positions are the most intellectual we have. to show that Talmud study is just as rigorous as secular study. would not cross the line Reuven has unfortunately crossed. years ago with our intact memories. Emunah - our core belief system. Unfortunately, this is not so. reinterpretation of Tanach that is not based on that Mesorah. Reuven errs gravely in attributing such exegesis to RSR Hirsch. historical record of the Flood as literal and factual. "facts." Today it is thus, tomorrow it shall be otherwise. time with the resilience of the Divine. proudly proclaim and teach authentic Torah Judaism. of the allegorization of the flood is so clearly beyond the pale. idea of what process he actually used. but I could accept it if there were no alternative. Torah Shebiksav but his case can still be made. history of klal Yisroel) is asur. mabul is more of a puzzle. of the Rambam's case but its truth based on the text. Torah be applied to the question of entertaining it. am unsure about the, intervening prokim. non-literally but the mabul is more of a puzzle. all, Nevuah is one of the Ikkarim. great tools of science, archaeology, philology, history, etc. that are at our disposal today. unenlightened age contrary to our glorious heritage. "pulling the wool over our eyes" with this blatant falsification"
was put there by the Creator to fool us. true and inspiring as any "actual" history. events (Guide 2: 42, 47). to reject his interpretation as beyond the mainstream. Again, not as allegory but as visions. there is a REAL clash that our debate begins. could garner from tradition, logic and available evidence. which you leap to equate us with our "tools" with Chazal. happened to the flora and fauna of EY? etc. in machshava but neither does anything go. In a later posting, he expanded on this point further. however would result in some sort of crazy imaginings." discussed by Rabbi Yaakov Weinberg in "Fundamentals and Faith"
Rambam's commentators, whom he calls the Rambam's "friends." but all true to a factual perspective. that takes the account of Gan Eden as allegorical. incarnate" (see the Nefesh HaChaim 1:6 in the note there). interpretation (See Nechama Leibowitz's "Iyunim" p. 14 as well). So is R. Sa'adia Gaon. that he was not adverse to the surreal (see his link of "Tumah"
in and out of the allegory in 3:14.
the other Rishonim, his interpretation here must be rejected. to the Sfornu's non-mainstream approach here. disagree so passionately on basic issues. another viewpoint that should be considered. 2) Hashem had a purpose in writing every letter of the Torah. really attempt to discover within Aggada what we do in Halacha. (Gemara Gittin) when much of the rest of the Oral Torah was. uncover their real intention (Rambam). comprehension, not with the product they served up. sometimes live to talk about it. Good medicine it isn't. There. I feel better just writing all of this! Emes Ve-Emunah: Whose Fault Is It Anyway?